• Great non-shojo romance title that men wouldn’t be ashamed to read. • Everything and anything Takehiko Inoue creates hits the Top Ten Tohan sales list in Japan. • Vagabond has sold over 48 million copies, Real has sold 8 million copies, and Slam Dunk has sold over 100 million copies worldwide. 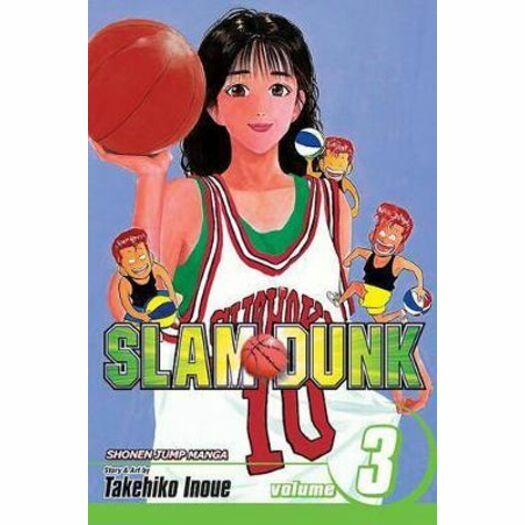 • Takehiko Inoue has won numerous awards, including the Tezuka Award, and has been nominated for an Eisner Award in Best Writer/Artist category for Vagabond. • Real is part of a 2008 initiative to push the manga masterpieces from Inoue. One of the most popular manga in the history of manga! Winning isn't everything in basketball, but who wants to come in second? It takes dedication and discipline to be the best, and the Shohoku High hoops team wants to be just that--the best. They have one last year to make their captain's dream of reaching the finals come true--will they do it? Takehiko Inoue's legendary basketball manga is finally here, and the tale of a lifetime is in your hands!